With today's card I knew that I wanted to use the Wetlands stamp set. It is a wonderful masculine set!! I also knew that I wanted to use Watercolor Paper. A product that I don't use all that often but when I do I remember how much fun it is:) I started with stamping my images where I wanted them in StazOn Black Ink (including the goose) and then i just kind of went crazy with my colors for the water and sky which were Soft Sky and Marina Mist. I blended some of the Marina Mist ink into the water and then accented it with just a light brushing of Island Indigo. Around the... oh no I forgot what they are called, lol... ummm I'm going to call them... tall grasses haha (good enough) I took a tad bit of Old Olive and then it made the water along those grasses look a little bit more murky. For my sun area I used Crushed Curry and Pumpkin Pie and just brushed it all sorts of direction. I wanted the color of the sun but not really the shape. 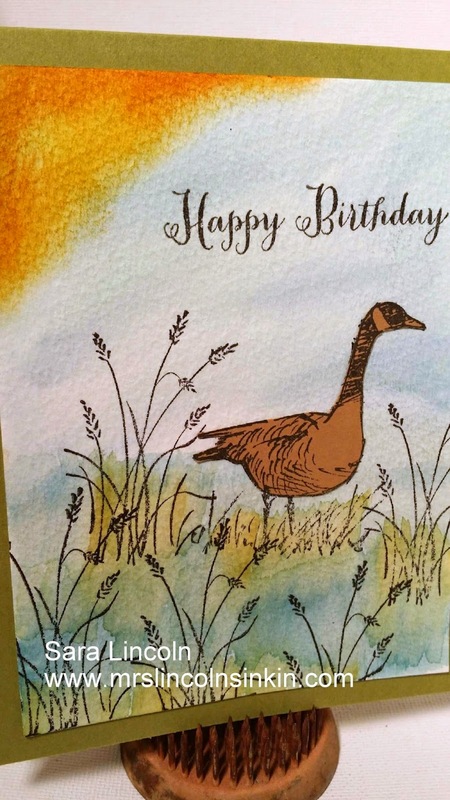 If that makes any sense at all:) For my goose I stamped the image again on some Brown Sugar card stock and then cut him out. 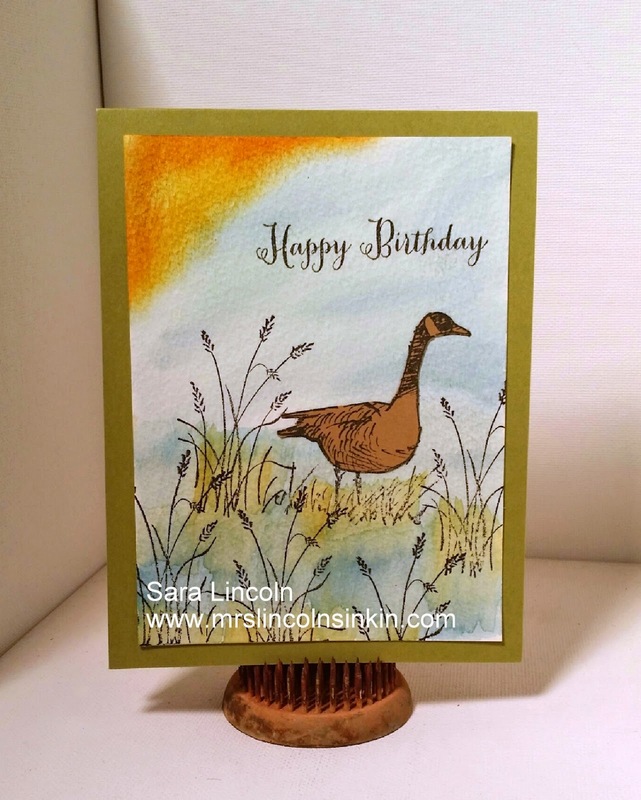 The product that I am showcasing today is of course... the Wetlands stamp set! !